About 60 people listened for an hour tonight as candidates Dan Matthews and Chuck Williams, seeking to represent Oconee County and parts of three neighboring counties in the Georgia House of Representatives, answered questions on a variety of issues tossed at them by moderator Tim Bryant. Most of the questions had been covered in previous meetings of the two candidates, but a few were new and some had slightly different angles. But he said the bank failed because it was tied to the local residential building industry, and other banks in similar communities also failed. Matthews responded that Oconee State Bank, in the same market, had not failed and that North Georgia Bank had been warned by the Federal Deposit Insurance Corporation of problems before the failure. Matthews was asked to defend comments he has made on his political blog, where, according to the questioner, he often “is an outspoken critic” of those who don’t share his view. The questioner said Matthews “crossed the line” in writing about the late Congressman Charles Norwood. Matthews said he didn’t remember the comment but would look for it on his blog. Williams said he had a lot of respect for Norwood. Williams was asked to explain the circumstances surrounding sale of family property in Watkinsville to the Oconee County Board of Education. Williams said it was a simple transaction that involved no special favors. Matthews congratulated Williams on the profit he had made on the sale. Matthews and Williams are the survivors of the June 21 special election called to replace Hank Huckaby, who resigned as representative to assume the position of chancellor of the University System of Georgia. The two were the top voters getters in the field of four candidates in that race. Since no candidate got a majority of the votes cast, voters are being asked to return to the polls to select between them. Matthews is running as a Democrat, while Williams is running as a Republican. The district, made up of all of Oconee County and parts of Clarke, Morgan and Oglethorpe counties, has a record of electing Republican candidates. The forum tonight was sponsored by the Oconee County Chamber of Commerce. Bryant, a newsman for 1340 WGAU and FM 103.7, was asked by the Chamber to select from questions posed in advance from the audience and to him via email prior to the program. Bryant began the session saying he had more questions than the candidates would have time to answer in the one hour allowed for the event. The forum was broadcast live of WGAU and FM 103.7. Candidate Forum June 30, 2011 from Lee Becker on Vimeo. The Oconee County Board of Commissioners is scheduled to take up the possible purchase of the “Dolvin” Property–located across the street from the courthouse–at its agenda-setting meeting tomorrow night. The agenda item comes in the form of a report from the Citizen Advisory Committee for Land Use and Transportation Planning, which voted unanimously at its meeting on June 14 to recommend to the county that it purchase the property. The only issue for the citizen committee members was the property price. Committee members were told by Wayne Provost, director of strategic and long-range planning for the county, that the owners of the property are asking $1 million and have said they will not accept any lower offer. The assessed value of the property on the county’s tax roll is $662,491. Several committee members said they thought it would be hard to convince citizens in the county that it is a good idea to purchase the property at 50 percent more than its assessed value in such a difficult economic time. Provost, who is the liaison person for the county to the committee, told them the justification was simple. The county has the money for the purchase in unspent Special Purpose Local Option Sales Tax funds, those monies are designated as for projects such as the courthouse, and purchasing the property rather than continuing to lease it will save the county more than $400,000 over the next five years. After an hour of discussion, the citizen committee voted unanimously to recommend that the Board of Commissioners go forward with the purchase. Nine of the 14 committee members were present. Abe Abouhamdan, who chairs the committee, usually does not record his vote, though he left little doubt he supported the motion. Provost brought Allen Skinner, head of the county Property Appraisal Department, to the June 14 meeting of the Land Use and Transportation Planning Committee to help the Committee address the gap between the appraised value–which comes from Skinner–and the asking price. Skinner recommended that the committee focus on the two buildings that make up the “Dolvin Property,” which the county officially refers to as the Courthouse Annex. The tax documents indicate the first building, 5,576 square-feet in size, was built in 1993. The second, at 3,640 square feet, was built in 1995. Both buildings have two stories, with brick exteriors. The 0.6-acre property also includes a concrete-paved parking lot for approximately 25 vehicles. Skinner has assessed those buildings as worth $62 per square foot, and he presented the committee with his assessments of 10 other properties he felt were comparable in some ways and that had sold in 2010 or just earlier. The range in assessed value of those properties was from $33 per square foot to $144 per square foot. Committee Chairman Abouhamdan repeatedly told Skinner that “location” is key, and it is hard to make comparisons of the sort he was making. Abouhamdan said the location across the street from the courthouse makes the property in question particularly valuable to the county. “It would be worth more to the county than to anybody else,” Skinner conceded. In fact, much of what appears to be frontage on Main Street for the Courthouse Annex actually already is owned by the county. The county also owns the adjoining property on which the Eagle Tavern sits, and Watkinsville owns a tiny piece of land between the Tavern property and the courthouse annex. The courthouse annex property itself mostly fronts on First Street, which, Skinner said, limits its value except to the county. The county first signed a lease for the Courthouse Annex property beginning on Nov. 13, 2006, according to Alan Theriault, administrative officer for the county. The county’s five-year lease on the property expires on Nov. 30 of this year. According to Theriault, the current lease requires the county to pay $6,942.60 per month or $83,311.20 per year. Provost told the land use committee he “thinks” the offer from the owner is to renew the lease at this same amount for five years. The first building, facing North Main Street, houses the Planning Department and Code Enforcement. The second building, on First Street, provides space for the Sheriff’s Office Investigator, the Environment Health Department and the coroner. The tax records list the property owner as 22 North Main LLC, with Ray B. Burruss Jr. of Athens as the agent. The current owner acquired the property from Elizabeth Dolvin in 2005, according to the tax records. Skinner also told the Committee that two unimproved properties had sold in Watkinsville in 2009 that could be used to help assess the property beneath the two buildings on the Courthouse Annex complex. He has assessed that land at $150,000 per acre. The first is the property the Board of Education purchased from Chuck and David Williams for a future office building. That land sold for $100,000 per acre, and Skinner acknowledged that some think the BOE paid too much. The other was a lot subsequently used for a single-family residence. It sold for $100,000 per acre. No one asked Skinner about this at the meeting, but if the county purchases the property, it would be removed from the tax rolls, resulting in annual losses at current tax rates of $778 to the city of Watkinsville, $4,637 to the Oconee County School system, $1,983 to the county, and $66 to the state. The computations are based on the current millage rates, which Skinner reviewed with me by telephone today. I was not able to attend that June 14 meeting, but Russ Page did and made a video of it for me. 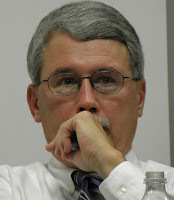 Page said that he and a reporter for The Oconee Enterprise were the only persons present other than Skinner, Provost and the nine committee members. Committee member comments indicated considerable reservation about the purchase, given the price, and no one urged the county to take action. Provost is the only person quoted in the Banner-Herald story, and the story provides Provost’s justification for the property purchase. As is usually the case at land use committee meetings, citizens were not given a chance to speak until after the committee had voted on the action. The video indicates Page did speak and offered observations about the property under consideration. Abouhamdan is scheduled to report to the BOC on his committee’s recommendation as the eighth item on the agenda tomorrow night. The meeting starts at 7 p.m. in the courthouse. Democrat Dan Matthews ran slightly weaker in his home county of Oconee yesterday than did Democrat Suzy Compere from Morgan County in November of 2010, but Matthews managed to come in second in the special election for the 113th Georgia House seat by doing considerably better in Clarke County than Compere did. Matthews got 18.7 percent of the vote in Oconee County in the race against three Republicans while Compere got 20.0 percent in her race against Republican Hank Huckaby last year in Oconee County. Matthews was 765 votes behind front-runner Chuck Williams and only a single vote ahead of third place finisher Sarah Bell in the Oconee County tally. In Clarke County, however, Matthews got 54.8 percent of the vote, compared with 47.9 percent for Compere in November of last year. Williams got only 15.9 percent of the vote in Clarke County, just ahead of Alan Alexander with 14.8 percent and Bell with 14.5 percent. With the votes from Morgan and Oglethorpe counties included with those of Oconee and Clarke counties, Matthews finished with 26.7 percent of the vote, compared with Compere's 27.5 percent in 2010. That total of 26.7 percent put Matthews in second place behind Williams with 38.8 percent and allowed Matthews to move to the July 19 runoff against Williams. The runoff is necessary because no candidate got more than 50 percent of the vote. Bell ended with 18.3 percent of the vote and Alexander with 16.2 percent. Compere did almost no campaigning last year while Matthews, long active in the Oconee County Democratic Party, has been very visible during the short campaign period. But Compare had only one opponent, while Matthews had three, all also from Oconee County. Huckaby, also from Oconee County, resigned in late April to take over as chancellor of the Board of Regents of the University System of Georgia. The 113th House District consists of all of Oconee County, parts of western and southern Clarke County and Winterville, as well as parts of western Oglethorpe County and parts of northern Morgan County. Overall turnout of the 35,750 active registered voters in the district yesterday was 11.0 percent, but it was 12.7 percent in Oconee County, 9.1 percent in Clarke County, 7.6 percent in Morgan County, and 7.4 percent in Oglethorpe County. Alexander ran strongest in Oglethorpe County, where he had 29.0 percent of the vote. Bell did best in Morgan County, with 26.1 percent. Matthews ran strongest in Clarke County with his 54.8 percent, and Williams had his highest percentage in Oconee County, with 47.1 percent. Matthews’ weakest showing was in Oconee County. Inside Oconee County, Alexander did best in Dark Corner in the far western part of the county. Bell did best among voters who cast their ballots at the Civic Center in the center of the county. Matthews’ best showing was at City Hall in Watkinsville. Williams ran strongest in Antioch in the south of the county. Williams is from the southern part of the county, while the other three contenders are from Watkinsville or nearby. Voters who cast their ballots before election day were more likely to be Williams voters than voters overall, and less likely to vote for Alexander and Bell. Turnout on July 19 could be important. Matthews will have to get a lot of new voters or pick up former supporters of Bell and Alexander to overcome the gap with Williams in the tally from yesterday. ADDENDUM 6/23/2011: Compere got 5,580 votes in 2010, or more than five times the number Matthews got in the June 21 election, meaning that Matthews has a lot of potential voters to attract to the polls on July 19. Williams got only 1,521 votes on June 21. A two-sheet spreadsheet that I used to examine the vote is here. When the Oconee County Board of Commissioners meets on Tuesday night, it will be to review a $33.2 million budget for Fiscal Year 2012 that is balanced without a millage rate increase. The General Fund component of the budget, which is $1.3 million lower than for the current fiscal year, includes a transfer of $505,787 from the county’s surplus. To balance the current fiscal year budget, the county transferred $1,157,894 from the surplus account. The budget also includes significant fee increases for parks and recreation, water and sewer. Funding for law enforcement, the jail, public works and parks and recreation–the largest items in the 2012 General Fund budget–are all down from a year ago. The sheriff cut $329,234 from his law enforcement budget and $154,200 from the operation of the jail. He projected jail revenues to remain flat at $217,500. The Public Works Department budget is down $200,693 from a year earlier. The budget for the Parks and Recreation Department is $179,137 lower than in the current fiscal year, which ends on June 30. Parks and Recreation will raise an additional $102,160 this coming year with fee increases. Fees for most youth programs will go up $10 per person. The same is true for most summer sports camps. Fitness program membership will double in cost. The $19.4 million General Fund budget is the largest part of the overall $33.2 million budget for the county, which is $2.9 million lower than the current total budget of $36.1 million. The total budget includes $4.8 million in spending from the Special Purpose Local Option Sales Tax funds, $3.4 million in spending from special revenue funds such as the emergency telephone system and the hotel/motel tax, and $7.1 million for the Utility Department. The Utility Department budget is up 11.3 percent from the current budget of $6.4 million and includes rate increases for both water and sewer use. Base fee increases are 6.1 percent and 8.3 percent respectively. The total budget includes $1.4 million of transfer of funds within those separate accounts, bringing the overall figure to $33.2 rather than $34.6 million. Citizens will get a chance to comment on the budget on Tuesday night, the first of two called meetings to provide for public hearings. The meeting on Tuesday is scheduled to start at 7 p.m. in the courthouse. The second called meeting is scheduled to begin at 6:30 p.m. on June 21 and is to be followed by a meeting of the commissioners at 7 p.m., at which they are to vote on the budget. Both of these meetings will be in the courthouse. County Finance Director Jeff Benko presented the budget to the commissoners on June 7 with a memo explaining the changes he had made since the commissioners last reviewed the budget in detail on May 26. He also gave a briefing after the meeting for reporters from the Athens Banner-Herald, The Oconee Enterprise and OconeePatch, all of whom were in attendance. The county also has put details of the proposed 2012 budget as well as details of budgets for the last three years on the county’s web site. Benko gave me a copy of his memo and a spreadsheet he gave commissioners. It provides details on how each department responded to requests for cuts from current funding levels. It also contains $110,659 in revenue not shown in earlier versions of the 2012 budget, including $89,000 from the Parks and Recreation Department. The new budget reflects closing of the community center in Bishop and the Daniells House on Founders Boulevard. The Civic Center budget, which includes the Daniells House, is $52,838 less for Fiscal Year 2012 than for the current year. Benko told me in an email message on June 8 that the budget does not reflect any savings from a proposed early retirement program. The costs of such an incentive program also are not included. Benko said the commissioners have not indicated “when and if” such a plan will be put into place. The county currently has 236 full-time employees, Benko said. Many department heads had indicated, according to the spreadsheet Benko gave me, that they could not reduce their budgets without cutting personnel. As I wrote in a posting on May 16, the largest item in the Utility Department budget is debt service. To pay off bonds sold to finance utility projects, the department in 2012 will spend $3.2 million or 44.0 percent of its budget. This is an increase of 6.7 percent from the amount it will have spent on debt payments in the current fiscal year. Of the debt services for next year, $890,000, or 27.9 percent, is from the Hard Labor Creek Reservoir project, a partnership of Oconee and Walton counties. If that figure were absent from the Utility department budget, the 2012 budget would be $6,220,500. After I wrote that story, I asked Benko to give me the payment schedule for the $19.5 million bond sold for Hard Labor Creek in March of 2008. That schedule shows that annual interest rates range from 4 percent to 4.5 percent and that the maturity date is February of 2038. The total cost of the bond repayment in 2038 is scheduled to be $38.3 million, representing the $19.5 principal and $18.8 in interest. The counties do not have enough money to build the reservoir or water treatment plant and are seeking state funding to cover some of those costs. More than 80 people turned out at the Oconee County Library tonight to ask questions of the four candidates running in the special June 21 election for the open House District 113 seat. The questions covered a wide range of topics, from the future status of SR 316 to the candidates’ stand on the recently passed Georgia immigration bill. Democratic candidate Dan Matthews said he would have voted against House Bill 87, which is viewed by critics and supporters alike as a tough state law on immigration. Republican candidates Alan Alexander, Sarah Bell and Chuck Williams said they would have voted for the bill. The special election, for which early voting is underway, was called to fill the vacancy in the 113th District seat because of the resignation of Republican Hank Huckaby. Huckaby has been appointed chancellor of the University System of Georgia. If no one gets a majority on June 21, the two top candidates will go into a runoff on July 19. All of the candidates would like to see improvements in SR 316. Williams said he would consider making it a toll road. Matthews and Bell said they opposed that. Alexander said it was probably the only way the road would be improved, but he didn’t think it would happen. The forum, the first of two for all four candidates, was organized by Russ Page and me. Candidates asked the questions directly of the candidates, after being recognized by Page. I kept time so all of the candidates had the same opportunity to respond. Another forum is scheduled to begin at 7 p.m. on June 16 at the North Oconee High School on Hog Mountain Road. That forum is being organized by the Oconee County Chamber of Commerce. Tim Bryant from WGAU radio will moderate. The forum tonight lasted for a full two hours. I had to upload it in a low resolution format, but it is available on my Oconee County Observations Vimeo site. It also is embedded below. If you click on the start icon below, you will need to allow a bit of time for the video to download. Candidate Forum June 8, 2011 from Lee Becker on Vimeo. The Georgia Department of Transportation has cleared 17 of the 26 transportation projects Oconee County put forward for possible funding in the sales tax referendum expected to be before voters in August of 2012. All of the major projects were approved, including the widening of U.S. 441 at $175 million, the widening of Mars Hill Road at $66.6 million and three interchange improvements on SR 316 for $85 million. The GDOT approval was the first step in the winnowing down of the list of projects from the county that might be included on the Transportation Special Purpose Local Option Sales Tax referendum. A five-person executive committee, which includes Oconee County Board of Commissioners Chairman Melvin Davis, is expected soon to start reviewing the lists of projects from the 12 counties that make up the Northeast Georgia transportation district. That executive committee is scheduled to deliver its recommended list to the full 24-member committee by August 30. The 24-member committee is made up of two persons from each of the 12 counties in the Northeast Georgia transportation district. The 12 counties are Barrow, Clarke, Elbert, Greene, Jackson, Jasper, Madison, Morgan, Newton, Oconee, Oglethorpe and Walton. The referendum, if approved, will add 1 percent to the cost of most items purchased in the district, with the bulk of the revenue going to regional projects selected from the lists submitted by the counties. The tax, if approved by voters, will run for 10 years. Oconee County submitted its list of projects on March 30, and that list included items proposed by Bishop, Bogart and Watkinsville. Total cost for the 26 projects was $370 million. Bishop’s single project was the widening of U.S. 441. Bogart submitted two projects, improvements to the Burson Avenue and Atlanta Highway intersection and the widening of Osceola Avenue. Neither of these was approved by GDOT. All three of Watkinsville’s projects, the Simonton Bridge Road Extension, sidewalks for Simonton Bridge Road, and sidewalks for Harden Hill Road, were approved. The county had one of its major projects, the construction of an interchange on U.S. 441 for Gainesville State College, pulled from the list by the state. It also lost six smaller projects involving improvements to Hodges Mill Road, Colham Ferry Road, Clotfelter Road, Astondale Road, Bob Godfrey Road and Salem Road. Oconee County Public Works Director Emil Beshara told me today that the state had reserved the right to review the submitted projects and judge them on a number of criteria, including whether they were truly regional in nature. Beshara said he has not yet been told why the rejected projects were taken from the list by the state. The three interchange improvements on SR 316, combined with similar projects in Barrow County, would greatly change the nature of that road. Each of the upgrades would be multiple grade, meaning traffic would cross over and under at the intersection. The three exchanges proposed for upgrade by Oconee County would be at the Oconee Connector, at Jimmy Daniell Road and at a new road between McNutt Creek and Pete Dickens roads. This last roadway would serve the proposed Gateway Business Park and be called Bogart Parkway. Beshara said he expects that other roadways in Oconee County now intersecting with SR 316 would be converted to culs-de-sac and the actual intersections eliminated. The Oconee County Board of Commissioners is asking a citizen advisory committee for advice on possible purchase of the property in downtown Watkinsville across from the courthouse and currently leased by the county for the Courthouse Annex. Owners of the tract, referred to as the Dolvin property, have indicated they are willing to sell the two-building complex to the county for $1 million. The property currently is assessed at $662,491. The county’s five-year lease on the property expires on Nov. 30, and the county also could attempt to negotiate a new lease beyond that point, possibly including an option to purchase in the future. The Citizen Advisory Committee for Land Use and Transportation Planning is scheduled to take up the issue at its regular meeting on June 14 at the Community Center at Oconee Veterans Park on Hog Mountain Road. The meeting starts at 7 p.m. and is open to the public. This is the second year that the BOC has discussed the Courthouse Annex property while trying to create a budget for the upcoming fiscal year. Commissioners have not yet released a budget for 2012, which must be passed before the current fiscal year expires at the end of this month. Last year the commissioners considered terminating the lease on the Courthouse Annex property and moving the offices housed there to the Government Annex, located in the south of Watkinsville on SR 15. That move fell apart when renovation of the Government Annex to house offices now in the Courthouse Annex proved more expensive than a majority of the Commission would approve. According to Alan Theriault, administrative officer for the county, the current lease requires the county to pay $6,942.60 per month for the two buildings, which total 9,200 square-feet. That is $83,311.20 per year. In addition, the county pays for utilities, lawn care and an alarm system, bringing total cost to about $100,000 per year. The county has enough money in unspent funds from the 2004 Special Purpose Local Option Sales Tax, which expired in 2009, to purchase the property. By purchasing the property, the county would enjoy an immediate savings of at least $83,000 to help balance a roughly $2 million gap between budget needs and projected revenue for next year. The savings probably would be greater, however, as the county is likely to have to pay more under a new lease. The county first signed a lease for the Courthouse Annex property beginning on Nov. 13, 2006, and paid about $500 less per month during the first three years of the lease than the last two, according to Theriault. The county doesn’t have an obvious alternative to the Courthouse Annex property, leaving it in a weak position in any negotiations. Tourism was in the second building but has moved to space across the street next to the courthouse. The tax records list the property owner as Ray B. Burruss Jr. of Athens, but he acquired it through a quit claim deed from Elizabeth Dolvin in 2007, according to those records. Theriault told me in a telephone conversation on Friday that the owners “won’t come off” the $1 million figure. Theriault said no professional appraisal of the property has been done, but plans are underway to get such an appraisal. The BOC also wants to “initiate public input to the decision making process, as soon as possible,” Provost wrote. Committee Chairman Abe Abouhamdan told me in a telephone conversation on Friday that the BOC is seeking a recommendation from his Committee on the best course of action. He said citizens would have a chance to speak at the meeting on June 14. The released agenda for the Land Use and Transportation Committee meeting allows for comment from the public. As is usually the case for Land Use and Transportation Planning Committee meetings, however, public comment is allowed only after the Committee has completed action on its agenda items. The sole agenda item for that June 14 meeting is the Courthouse Annex. Athens Rep. Doug McKillip says the rumor floating around Oconee County that he has a deal with House Speaker David Ralston to create for himself a more Republican district including parts of Oconee County is false. “No ‘deal’ exists,” McKillip wrote to me in an email message. “We are very early in the process-- just started taking public input at meetings around the state. “A rumor is circulating in Oconee County. I have heard it from more than one person. “According to the rumor, you intend to try to change the lines for the 115th District to incorporate parts of Oconee County, and you have reached a deal with Speaker Ralston to that end. I sent that message on the evening of May 18. McKillip wrote back the afternoon of the next day. McKillip represents the 115th District, one of two districts in the Georgia House of Representatives that lies entirely in Clarke County. He was elected in 2006, 2008 and 2010 as a Democrat, but he switched to the Republican Party before the start of this year’s legislative session. Oconee County lies entirely in the 113th District, but that district also includes parts of Clarke, Morgan and Oglethorpe counties. Oconee County votes Republican, while Clarke usually votes Democratic. McKillip has made two recent public presentations in Oconee County. On May 10, he appeared before the Oconee County Board of Commissioners at its regular meeting. On May 19, the day he sent me his email reply, he appeared before the Oconee County Republican Party at its candidate forum. His message was the same at both settings. He said he was offering his services to people in the county while the county is without a state representative. Hank Huckaby, elected to represent the 113th District last year, resigned in April to become Chancellor of the University System of Georgia. The legislature is out of session but is expected to go back into session in August to deal with redistricting. A special election is being held in the 113th District on June 21, and two of the three Republican candidates–Alan Alexander and Sarah Bell--were at the May 19 Republican forum. The third, Chuck Williams, was sick. The 113th contains two southern Clarke County voting districts, Barnette Shoals and Whit Davis. It also contains Winterville, which is in eastern Clarke County. All of Whitehead Road voting district on the far west of Clarke County is part of the 113th, as is most of Timothy Road district, also in the west. The 115th abuts two Oconee County voting districts, Mars Hill and Friendship. The 114th, represented by Keith Heard, a Democrat, does not border Oconee County. A Joint House and Senate Legislative and Congressional Reapportionment Committee held the first of 12 scheduled hearings on May 16 in Athens at the University of Georgia. McKillip is secretary of the House part of the committee and was present at that meeting. Oconee County Board of Commissioners Chairman Melvin Davis spoke early in the session, stating that he hoped that Oconee County would not be split. I spoke a few minutes later and supported that position. Williams and Bell also were present, but they did not speak. Dan Matthews, running as a Democrat in the June 21 election, spoke near the end of the session and said he supported keeping Oconee whole or, if that is not possible, merging it with Clarke in a new district. A number of Athens/Clarke County citizens living in the 113th District complained that they were separated from each other and from the rest of the county and asked that the 113th District lines be changed. The J. Phil Campbell Sr. Natural Resource Conservation Center, headquartered on Experiment Station Road outside Watkinsville, almost certainly will close at the end of this year, but the land is likely to remain in use for agricultural research for at least 25 years beyond that closing. This is because of the approval yesterday by the U.S. House of Representatives Appropriation Committee of the fiscal year 2012 Agriculture Appropriations Bill. That bill provides $125.5 billion to fund various programs within the Department of Agriculture and related agencies, a reduction of more than $7 billion from President Barack Obama’s request. The bill also stipulates that the Secretary of Agriculture may close up to 10 facilities of the Agricultural Research Service, as proposed in the president’s budget for fiscal year 2012. The Campbell Center was one of the facilities President Obama proposed for closing. The bill also specifies that the Secretary of Agriculture may convey the properties to be closed to a land-grant college or university located in the same state as the property if the land-grant college or university agrees to accept and use the property for agricultural and natural resources research for a minimum of 25 years. The University of Georgia, a land-grant institution, has expressed an interest in the property that makes up the Campbell Center. The bill has to be approved by the full House, agreed to by the Senate and signed by President Obama. In the current fiscal climate, it seems unlikely either house is going to add back funding for a program President Obama has proposed to eliminate. Fisher said the employees of the Center have been offered early retirement and other buyout options. The Center employs 25 research scientists and support staff. Fisher said he has decided to take early retirement. The Center’s funding is scheduled to end on Sept. 30 of this year, with the end of the federal 2011 fiscal year. The 1,100-acre Campbell Center is divided into four parcels. Two parcels are on Hog Mountain Road at the Daniells Bridge Road intersection. A third is on Hog Mountain Road across from the Civic Center. The fourth is on on Colham Ferry Road south of Coventry Road in the southern part of the county. The parcels on Hog Mountain Road all would be prime for commercial and residential development when the economy improves without the bill’s stipulations. The two pieces of land on Hog Mountain Road near Daniells Bridge Road abut the University of Georgia’s 90-acre Horticulture farm. Dean J. Scott Angle of the UGA College of Agricultural and Environmental Sciences and a resident of Oconee County, told me in a telephone conversation in early April that the University is interested in the Campell Center land if the Center closes and the land becomes available. “We would like to continue to use the land in the way it has been used,” he said. Fisher told me yesterday that representatives of the university have toured the facility recently. The cattle on the farm are owned by the university and managed cooperatively with the Campbell Center. The College of Agricultural and Environment Sciences has announced that the Plant Sciences Farm on 522 acres on Hog Mountain Road and Snows Mill Road across from North Oconee High School is being put up for sale. Some of the research there could be moved to the Campbell Center land. I had heard that the farm was on the market and reported on that possibility in early April. That property is assessed at $6.9 million. The Farm will be sold with the condition the seller sign a three-year lease back to the University of Georgia so researchers can finish their projects. Georgia First District Representative Jack Kingston and his agricultural appropriations subcommittee drafted the bill that was approved by the Appropriations Committee yesterday. Kingston, from Savannah, grew up in Athens and attended the University of Georgia. The rules on disposal of the property from the closed center in Kingston subcommittee bill are different and much simpler than those usually used to dispose of unused federal properties, such as the former Navy School in Athens. The only other land-grant institution in Georgia is Fort Valley State University, a historically black university located in Fort Valley, and it could accept the Campell Center land as well. In addition to land grant colleges and universities, the bill specifies that the excess property could be transferred to Hispanic Serving Agricultural Colleges and Universities or to Native American institutions as defined by the Equity in Education Land Grant Status Act. Georgia has no such institutions. “I cannot imagine any university not grabbing this,” Fisher said of the land that makes up the Campbell Center. He said the University of Georgia would generate revenue from selling the Plant Science Farm and get the Campbell Center land for free. “They are geniuses,” he said.